You can accelerate your way to financial freedom by having a successful business. How? That’s what we talk about in today’s episode. 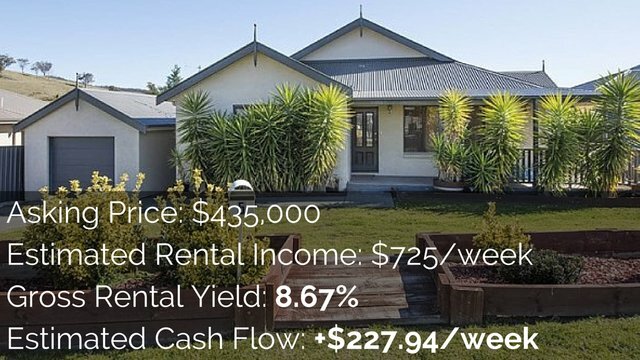 Working in a job and investing in property is a great way to achieve financial freedom within a relatively quick time frame. 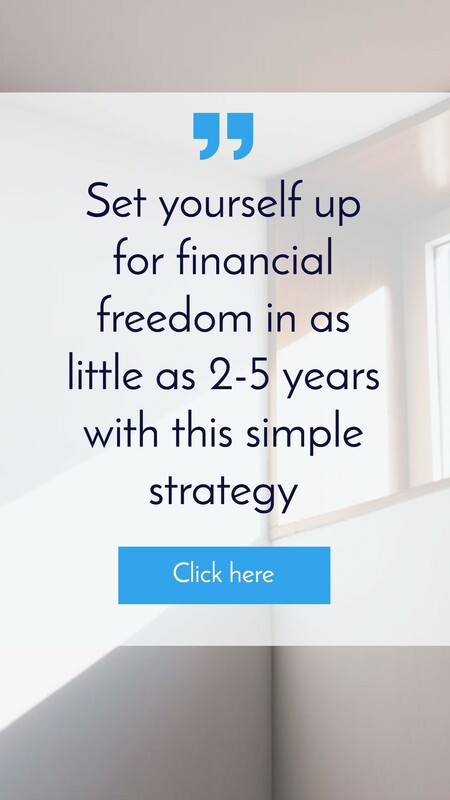 We’re talking 10, 15, 20 years, still earlier than most people achieve financial freedom, but you can actually accelerate that through having your own businesses. And this is something that both me and Ben did. We achieved financial freedom through using business and so we want us to talk today about how business can help accelerate your financial freedom or give you financial freedom. So we want to talk about the reasons why businesses good for financial freedom. Yeah. I think as you said, in terms of a get out of jail or I get out of a job that you absolutely hate. Scenario. Achieving financial freedom through a business can be a lot faster just because the short term cash can be significantly higher than, as you talked about before, like waiting that 15 year period to wait for your property to do it. Saying yes and so waiting for the property to go up in value, waiting for the cash flow for the property to go up as you pay off the debt or as the rent goes up does just take time and there’s no two ways about it. Obviously you can do renovations and you can add value and things like that, but generally speaking, that is a time factor that you need to wait out and property. Whereas business you can take a lot more action to increase your income and to get to that financial freedom faster. So let’s just talk a bit about the ways business can help people achieve financial freedom. So we’ll give you guys some food for thought because I bet a lot of you out there haven’t thought about starting your own business, haven’t thought about starting your own side business, so this will just kind of get the wheels turning in your head. Get the cold’s going as something to start thinking about. So looking at business, Bro, a lot of people think, oh, I might or might not be able to do that and it can be confronting for people to get the confidence to do it and the way that I think you and I did, it was really nice. You know, I started my own little businesses on the side when I was still working for someone else. So there was effectively absolutely no risk for me in starting something and that gave me the confidence with those short term wins, um, that you get from starting your own business and trial and error over time to enable me to now do, you know, full time business for myself for the last five years or with you and to just, you know, excel at it. So I think putting your toe in the water in terms of starting a business can be a great idea and there’s probably plenty of things that you do day to day or week to week on unique knowledge and skills that you have that you could easily apply to starting a business. You know, if you’re a project manager, then you could take on small projects outside of your full time job. If you’re an it engineer, then you can, you know, pick your time, I suppose on the side or you can like start responding to stuff on air tasker or high pages if you’re trading on the weekends and start building like a passive cashflow completely outside of what you’re doing in your actual day to day life, which just can be put back into investing or it can be put back into savings and you can use that savings to obviously go full time into business and speed it up or just do what I did. And you know, I had these little businesses on the side for six years before I went full time in the business and I used the money I made from these little businesses to actually buy off buy properties or pay for renovations or money that I couldn’t save at work with my family. Yeah. 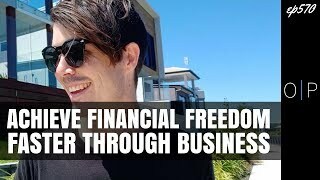 Well let’s talk about the different ways business can actually help you achieve financial freedom. And the one that Ben’s talking about is that you have your job, which pays your bills, hopefully you’re saving a bit as well, and then you start a business on the side which can bring in extra sums of money and keep bringing in lump sums of money from jobs that you do and you can then take that extra money and use it as a deposit to invest so where you might not be able to do it through just your employment because you’re not earning enough, you’re not saving enough. It’s really hard to get that deposit together. Was He at the second deposit together but still working in your job but then also starting a business on the side or contracting on the side. Then you can take that money and invest and accelerate your financial freedom that way. So that’s what you did. That was what I started with and I think that massively accelerated my ability to invest outside of that business too. And took the pressure of the finances for my household from a week to week basis as well. But any little bit of extra money. Yup. And the other way you can do, which is what I did, I simply, I also started my businesses on the side, but then I went full time into my business and created a passive income business model. So rather than taking the extra cash from my business and applying it to property to achieve financial freedom that way I saw business as a vehicle for me to achieve my financial freedom. So each of the businesses that are created had really passive elements to it that I would do work now and then I wouldn’t need to do work in the future. And the work that I did now would continue to pay me into the future. Explain what that really means for people because the way that you do business is unlike anyone I’ve ever met. And it’s actually like incredible. Like it’s wrapped up very, very differently. But your thought process, even since we, we met five, six years ago. Sorry guys. Um, yeah, like the way that you’ve done this and it’s just so different than the way I was historically taught how to do it. So what, what do you mean by that? Like creating something that can last the long term period of time and create passive income. I was thinking about this on the drive down and I’ll probably do a full video on this, but to create a passive income business the easiest way. Well, the way that I did it was you want a passive product or something that you can sell. So when you sell one or when you sell $100, it doesn’t take a lot of extra work. And now passive isn’t completely passive and there’s zero work. There’s still some maintenance and there’s still some work, but you’re not working for money. So a passive product is the first thing that you can sell and it doesn’t require a lot of work from you versus like if you were in it or if you’re building websites for someone and every time you get a client you’ve got to build them a website. You know, every time you get a new client you’ve got extra workload versus selling like a website theme where if you sell one, you create it. And then if you sell one grade, it is 100 grade. You know, there’s not that much extra work behind it, so in some of the businesses that you’ve had, like it’s so interesting in terms of everything from a coaching product to Ebo dad in a niche space to a subscription model to a certain product that you point people in the direction of like really broad across. Yeah, I agree. So you can create your own products or you can market other people’s products and get a percentage for that. And then I think the other element that’s required is passive marketing. So for a lot of businesses I spend money in a market wants and then they’ve got to do work to keep marketing and for me I wanted to create, do work that creates marketing that just works over and over again. So like podcasts, like youtube videos, like really well, like this video will create this now and we’re working while we’re walking here, are we working to edit this and to upload this to get it transcribed. But once that’s done it and lives online and people will view two years to come. Yeah. So that might be a bit high level for people, but basically I actually financial freedom through creating passive business. Other people do it in your business, pumped on property as a buyers agency, your, it’s more intensive and that each time you bring on a new client, obviously there’s work you got to do to find the property, talked with real estate agents for the clients or that sort of stuff. But then you can start to create that passive by hiring other people to do that as well. So you can get to that passively in a non passive business through hiring other people. But as we told you about previously, I’m not applicant managing that kind of wasn’t the best option for me. For me personally. I like being around other people. I like being around high performance in the model that we’ve got at pumped on property or in the other business are run, which is a management business. Um, it’s very high touch. It’s one to one where I suppose your model is a bit more sort of one to many model is a bit more time for money where your model’s a bit more sort of infinite returns. Start thinking. I’ve learned from observing by today our businesses is I grow that certain businesses can be great for something at the businesses can great for other things. It really depends on your life stage and you know, do you want to work with a day, you want to take either heads on day one, a campy time for money effectively or do you want something that’s more passive, more evergreen that lasts for a long time and I think it’s not necessarily one or the other, it’s just what your skill set right now and what can you take advantage of. And then as you learn over time, you can refine the model to better suit what you truly want. Some. Yeah, as you were saying, some businesses are better for some things than others. My passive income business model isn’t great for quick cash or for lump sums of money. It’s great. Uh, it requires a lot of work to get a trickle of money coming in. 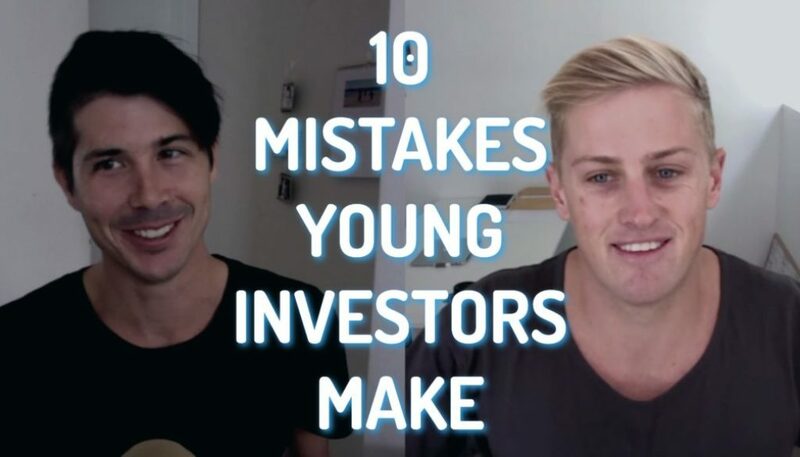 It’s harder to reinvest the money to get it back because you get, you might write an article or do a video and we’ll make money over a number of years rather than getting a lump sum fee marketing. So there’s a lot of problems with it. That means it’s not epic. Huge amounts of cash straight up. But because I saw my future as financial freedom through business and then I’ll invest in property, I was willing to make those sacrifices. So we talked about business can help you achieve financial freedom fossa through getting the lump sums by working on the business and using that to invest. We talked about passive businesses. The other way business can help you achieve financial freedom faster is that it gives you almost infinite potential for how much money you can. So if you’re in a certain business, I mean if you’re in a certain employment, certain job that’s job haven’t used that in. So I haven’t had a job for while. So if you have a certain job, there might be salary ceilings or how much you can earn within that sort of job that people are only willing to pay x amount for a certain employee and so you might be able to get a five percent raise per year or you might be able to get to that ceiling of six figures or whatever it may be, but you kind of kept at that. 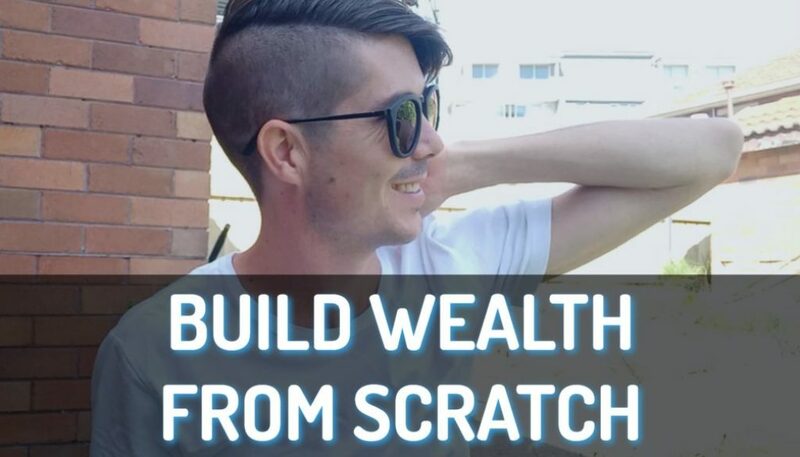 Whereas business, you have an opportunity to expand that massively and to earn a lot more money than you could earn in a job and it’s a huge thing that being in control of your cash flow. From a business perspective, I know it’s confronting for a lot of paper to think about doing that and putting themselves there. But the way that I described business to people that aren’t in it is it feels like jumping out of a plane without a parachute at the start. But realistically when you look back, it’s like stepping off a gutter onto a ride with the kids. Holding a hand like it is no harder than working a job. In fact, having a job to make. Can Be exponentially harder in terms of all sorts of things that we don’t have to go into it now, but having that business way you can bump up your cashflow and in awake and what might have taken someone else a month to when or any year and what, what could take 40 years for someone to an is the power of business, but it does come with all sorts of other things that you’ve got to remember as well. Like you don’t just and big money without doing the output. Yeah. And, and I don’t want people to think that, you know, jumping into a business issue, it’s going to be a cash cow because you and I both done hard work and we’ve also done smart work, you know, and we both know, like we all know that businesses have a tendency to fail, that it’s hard to get a successful business off the ground or whatever. But then the thing is if you do business wisely, if you business files so you can start another business. If that 1000 you can sign another one and only really need one business to work in order to get to a place where it can help you achieve financial freedom, but yeah, if you can grow your income, then if you’re earning excessive amounts of money that above and beyond your lifestyle, it becomes really easy to then invest that money into property or to invest it into shares or to invest it into other businesses or whatever you want because you have extra cashflow. You move into this position of, well, I had this extra money. Now I need to find something to do with it rather than being in a situation where it’s like I don’t have enough money and I need to save as well, and so that can just really accelerate things and just make it a lot easier. Obviously you’ve got the stress on the business side, making things work. It’s not super simple, but that’s an option and then I guess the last thing I could think of would be that business can help you tax wise because there’s business expenses that you can buy things with pretax dollars. It’s so powerful, like, you know, without getting too much into the financial side of that or giving advice which native as legally can, the fact that I can buy things 30 percent cheaper than someone who’s working for someone else is a really, really powerful thing and effectively means my life is 30 percent cheaper to live than the average person’s. Yeah. Or if someone’s getting a couple of hundred dollars a year and paying fifty cents and my life can be exponentially cheaper to leave the nest. So yeah, just to clarify with guys, these bands are getting a 30 percent discount or a 50 percent discount from the businesses that he’s buying stuff from, but there are certain expenses within your life that are, that can be claimed as business expenses legally. Obviously speak to an accountant about this sort of stuff. Um, but yeah, there’s certain expenses in your life that you can put through the business, which then is you’re not taxed on. It becomes a business expense so it can help you tax wise, whatever. Very generic pray tax spending versus post tax spending. So sorry to confuse is the tax rate even exactly. Thirty percent. It’s 27 and a half and half for the average planner like this, watching this. So yeah, so that can help you just cash flow wise because you can spend money before we have to pay tax on it rather than after you have to pay tax on it. So most people will earn a dollar. They then pay tax, they have seventy cents left or whatever it is I have left and then they go to buy the things that they need to buy. Whereas with a business you get that dollar you can spend it and then whatever’s left over, that’s what you need to then pay tax on. What’s super interesting is, you know, five years ago you said to me you should be in business. What do you kind of doing? Why aren’t you already doing this now? And from my employee, a mindset that I was leaving, which was I go to work, I might have a small little side business giving me some income over here, which I’m trading time for and then I’m investing all of that money into property and our thought 15 years from now I’ll be where I want to be, what you showed me from your businesses that you know, doing it the business way. It might take you 12 months, it might take you three years to replace your current annual salary, but it happens a hell of a lot quicker than actually going out there and doing it the hard way, which I was, which is owning properties and then trying to pay them off outright using, you know, the things that we’ve talked about. Just working for someone else. And that’s the thing. I think we’re finished this off by saying business is an obviously for everyone. I’m not saying that everybody should do this, but we. I’m saying that we are saying that this is food for thought to think about, could you use your current skills or could you start a side business or could you start a business that could accelerate your goal of financial freedom rather than just relying on your job and I think that’s one of the biggest things to achieving financial freedom and achieving world is looking above and beyond where you currently are. Rather than just looking at your situation and saying, well, how can I save enough or spend less stepping up and saying, okay, well how can I earn more? How can I create more wealth in my life? How can I add more value to the world, which I then get money exchange for because that’s all money is. Money is a representation of value. So if you can create more value and get more of that back, then you can reinvest it. And then the funny thing about it is your boss might pay you a thousand dollars a week for that value that the market might pay you $400 a day for that value. So sometimes you know, just when you start thinking about that value exchange in adding as much value as you can, your time can actually were significantly more than you price it for at the moment here. Well that’s the thing. My boss isn’t going to pay you exactly what they’re making. Like they’re hiring someone that I want to be making a lot more than what they’re paying that person. So whatever you’re getting paid in your job, ideally like the business will be making more than what they’re paying you from your labor and from your work. That’s kind of how it works. As a business owner, you’re investing into a person. You want to get a return on that investment for Your Business. Absolutely not. It’s exciting man. Like I think you and I both did it, like the little businesses are started with maybe produced the first sheet, five or $10,000 a second, Jay 20 grand. 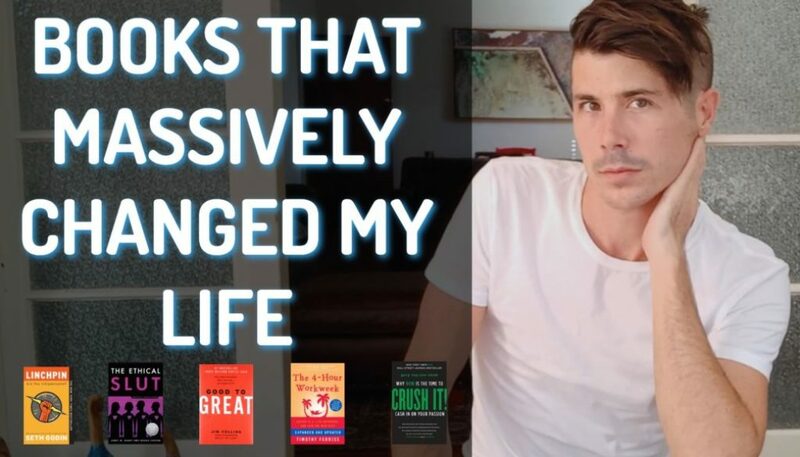 And then, you know, after doing it for a little while, I was almost replacing my current annual salary from doing the things I was doing on the side to the point that was silly not to just jump into full time business so it doesn’t happen overnight. But I think if you’re strategic and he is your skill set in the right way and build the right knowledge and contacts, you know, you can do whatever you want to do. Yeah. And you guys can start this on the side. In fact, I have a website that I started back when I was still working at Alpha farm as a pharmaceutical rep. I used to be driving between appointments and I would record podcasts as I was driving and I would just do that to get them transcribed. So then turn them into articles. And that was that. I haven’t touched in probably like four or five years. For the last four or five years. It’s made a 100, 200 bucks a month. And so I basically only worked on that when I had another job. And so it’s made that passive income for years to come. So the stuff that you can do on the side that can add extra income into your life. And so start to think about it, get out there, say there’s any way you can turn your skills into extra money. And yeah, that’s it. That’s it. That’s it. All right guys. 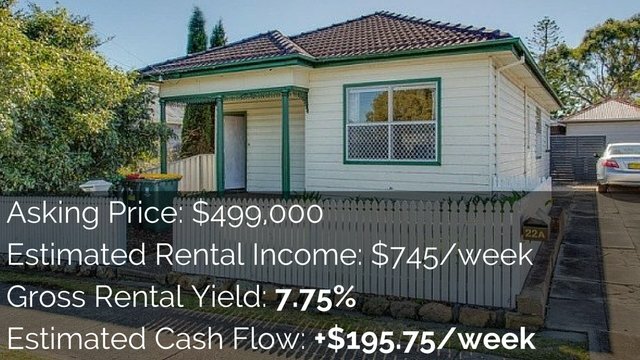 So really excited to help you guys move towards financial freedom and achieving that main band will be recording a webinar shortly on how to achieve financial freedom through investing in property. If you guys came to watch that, head of it on property.com dot a u and I’ll leave a link for that on the home page. Otherwise, go ahead and subscribe to the video and we’ll see you guys next time.